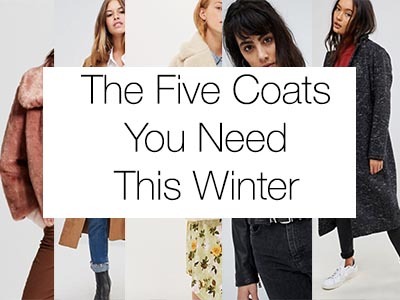 There are so many gorgeous coats out in stores right now that I would be surprised if you weren’t already on the prowl to add one to your wardrobe already. Here are all my picks for jackets and coats to wear now and for seasons to come. This is probably the most lightweight of the five coats unless you get your hands on one that is real suede, in which case it would go a little lower on the list. Real suede is warm as hell because it’s really just another type of leather. But that’s not what we’re talking about here. Faux suede is the perfect material to keep you warm enough to keep you cozy on a brisk fall evening. The thing that sets suede apart this season is that we’re seeing it in a trench silhouette. This gives me major seventies vibes and I am NOT mad about it. This soft drapey outerwear piece will soften up any outfit. I would style this jacket open with a pair of wide-leg printed trousers, a fine-knit crew neck sweater, and a baker boy hat with converse on my feet. This type of look will give a nod to the seventies trend while keeping the look relatively casual. This is the next heaviest on the list, and a classic. If you didn’t buy yourself a wool peacoat in your adolescence then consider yourself lucky. For a while, I thought that was the only type of coat. I digress. Don’t buy yourself just another wool peacoat! Go for a wool style that skims the ankles. A wool duster is really your workhorse coat. It can work for any occasion because it is simple, but dramatic due to the length. Let’s also face the facts here. It’s covering the majority of your body, thus being warmer than your average wool coat. I would style this one for the evening with a simple, but very glittery long sleeve dress, a pair of semi-sheer black tights, and some killer pumps. 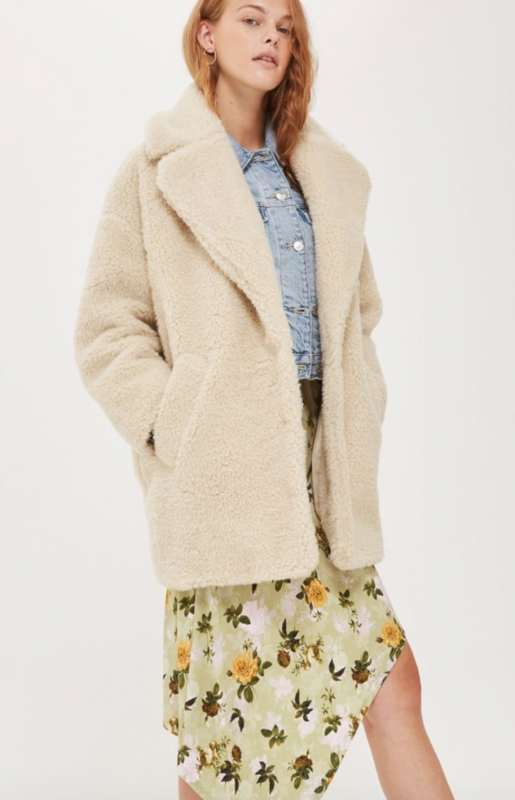 This is a slightly heavier coat that I would reach for when it’s a bit colder and I want to have a more casual look. This is a pretty cozy texture, so it’s great for running errands or any weekend holiday shopping excursions. I would definitely pair this with a colorful beanie because all I wear in the winter is beanies. (I actually keep a spare in my handbag in case I’m in a rush and forget to grab one on the way out the door.) Under the coat, I would probably style a turtleneck (either lightweight or chunky would work here), and a pair of straight leg jeans. Depending on whether there is snow or not would determine my shoe choice. On a snow free day, I would throw on a simple pair of pointed toe ankle boots. This HAD to be on the list! It’s of course another classic. A lot of you probably already have this in your closet. If not, a motorcycle style jacket is the classic silhouette that will absolutely never go out of style. 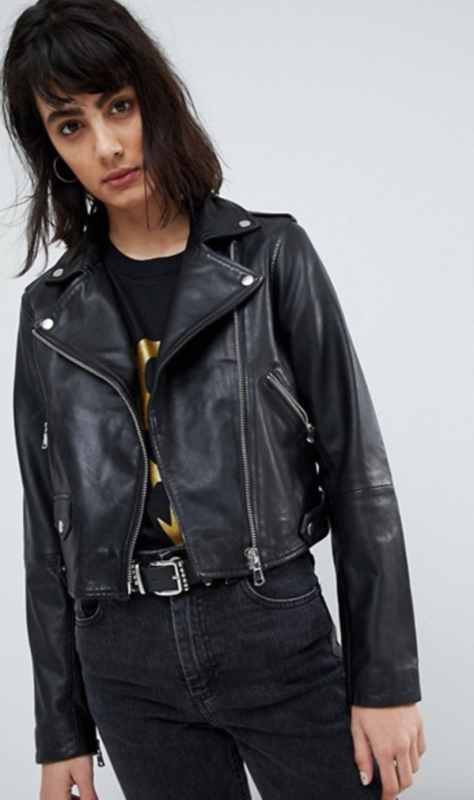 There are plenty of things to look for when you’re buying a leather jacket, so if you want tips then write a comment down below! I style my leather jacket with everything. Going out dress. Jeans and a tee. Tailored trousers and a blouse. It all works. This final coat used to be only for the fashion forward, but this season there’s a fur coat style for everyone. Like to experiment with fashion? Grab a leopard print style. Are your outfits more casual? Try a neutral hooded style. 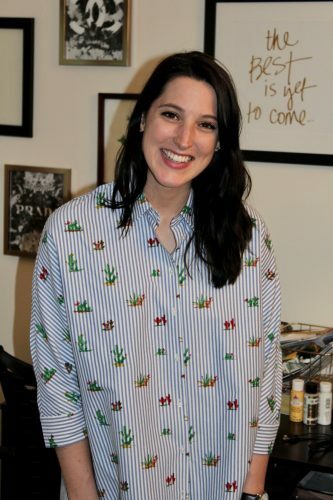 Have a more feminine style? Get a cropped style in a blush pink shade. Check out my whole post on the trend here! 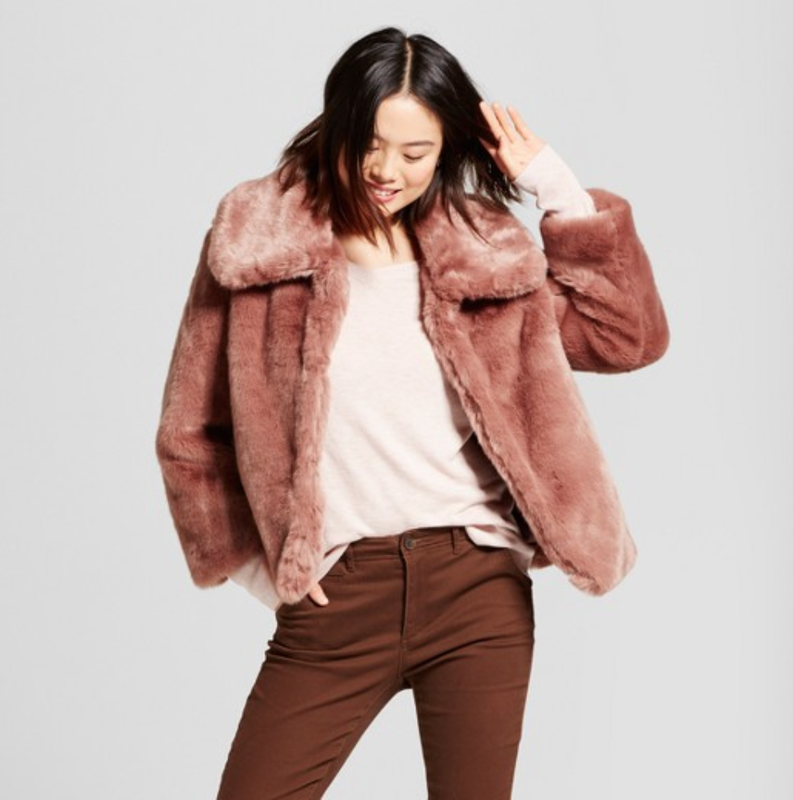 I found my perfect faux fur coat at target and I love to style the coat with some faux leather pants, a printed button down, and some sock boots for a truly eighties-inspired look. Are coats the only thing you love about the cooler temps? If not, let me know what you love about the colder months in the comments below! Adorable! Love your collection. These are fashionable coats with the cute designs. I wish to add these coats in my wardrobe. Thanks for sharing.